As an experienced well driller servicing Lapeer County, Michigan, we receive many questions from residents regarding maintenance. Keep reading for answers to these common questions. How Often Should I Have my Well Serviced? Well owners should schedule maintenance at least once a year, even if everything appears to be working fine. Often homeowners make the mistake of forgoing maintenance just because they are not experiencing any problems. However, a well that is not properly maintained can still endure wear and tear that increases energy usage, resulting in higher electric bills. Don’t wait until you have serious problems and costly repairs to hire a well drilling company. Remember, prevention is key. 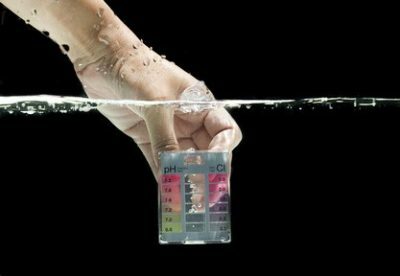 How Often Should I Have my Water Tested? Water should be tested once a year and testing can be included as part of your annual well maintenance service. Why is My Well Water Staining Plumbing and Appliances? If you are noticing rust colored stains on plumbing, appliances and even laundry, this means you are experiencing hard water. This means there is an excessive amount of minerals in the water. If you do not have a water softener installed, this can cost you a lot of money in the long run when you consider costs associated with plumbing and appliance repair, higher energy bills and replacing clothing and linens. If you already have a water softener, ask your local well maintenance company to check if it is working properly and ask them how often you should be checking the salt levels. What are the Benefits of Constant Pressure over Standard Pressure? A constant pressure system will provide less fluctuation in water pressure because sensors continuously monitor the water demand and adjust the speed of your pump accordingly. You can also enjoy more space as constant pressure will require a smaller pressure tank. Standard pressure tanks are usually 85 gallons and can provide 15 gallons of water per minute. Or you can install an even larger tank if your home requires more than 15 gallons of water a minute. However, a constant pressure system can provide almost 3 times the amount of water with a significantly smaller tank. For example, a constant pressure system can provide 40 gallons of water per minute with just a 20-gallon tank. We hope you enjoyed this article and learned something new. If you own a home with a water well and are in need of regular maintenance, look no further than Ries Well Drilling. Our office is located in Romeo, Michigan. Call Ries Well Drilling Today at 586-784-9516!